When meal points and dining halls become things of the (mercifully forgotten) past, you tend to arrive at a rather startling realization: Food doesn’t grow on trees, you have to go out and buy it. Like, at a grocery store. Actually, food does grow on trees and Berkeley Bowl picks the best of it. Strolling through the aisles, munching on your hastily made toothpick-kebab of sample cheese cubes, it’s easy to abandon your shopping list for an impulsive splurge on dried nectarines or a particularly intriguing bottle of California wine. And as for the produce section … expect to see tables groaning under the weight of fresh zucchini and boxes of berries piling skyward. This is one of those places where you can spend hours admiring gourmet ingredients, or just pop in for your culinary basics. It’s just quirky enough for the average Berkeley resident to find the shoe-rental-stand-turned-dried-foods-weigh-station endearing, but not so unconventional that you become suspicious of the vast array of mushrooms. 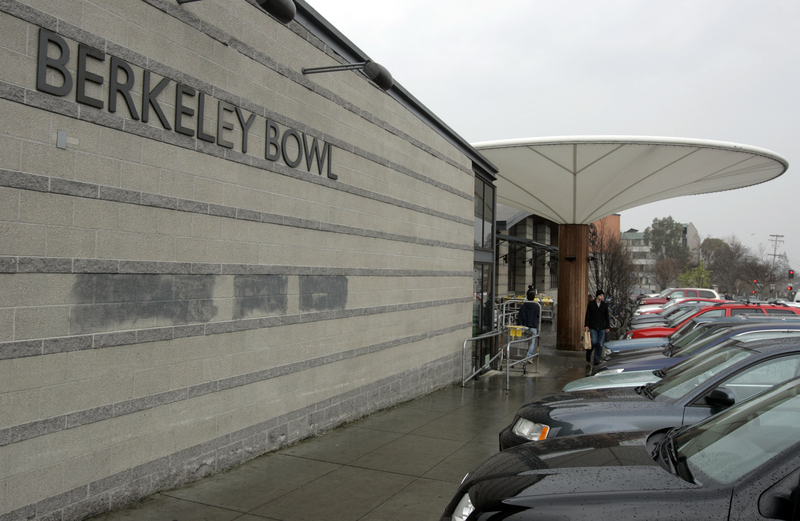 Bring your own re-usable bag – or two, or three – because a trip to Berkeley Bowl is a guarantee that you won’t be leaving empty-handed. This entry was posted on May 1, 2011 by skkazla. It was filed under Uncategorized and was tagged with Berkeley Bowl, Business, food, Food and Related Products, Grocery store, Produce, Retail, Shopping.